The only difference in building a larger tank compared to a smaller one, of say 55 gallons or less in size, is that the bonding process must be near perfect, and the glass thickness must be sufficient to withstand the added water pressure with a margin of error for the unexpected (like passing bumps or external impact). Using glass which is too thick means you are spending money you do not need to, and too thin means spending sleepless nights listening for the telltale sounds of cracking glass and running water. The quality of glass is determined by the individual manufacturer's methods and techniques for producing the glass. Testing samples show that the tensile strength runs from 19.3 to 28.4 megapascals (measures pressure). 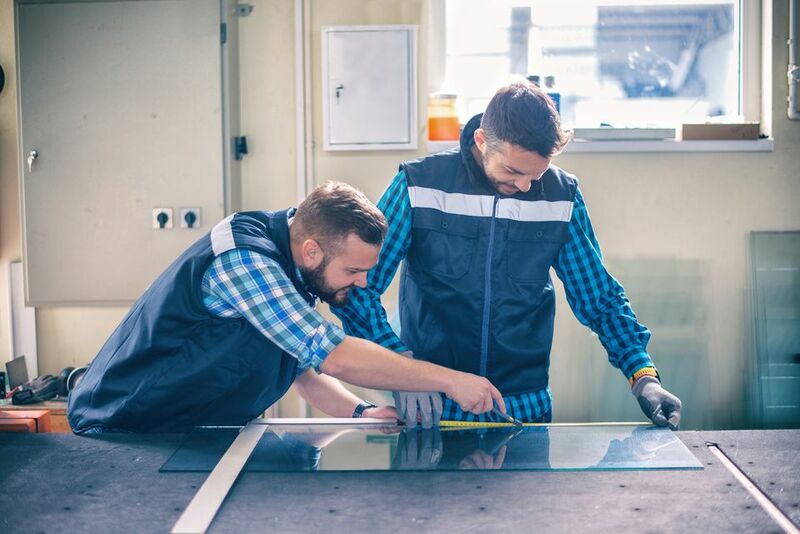 Due to limitations in the glass manufacturing process, the strength of glass can vary, which means a suitable safety factor must be used when calculating glass thickness. The commonly used factor is 3.8. This is not an absolute guarantee, however, it will essentially remove all risk of glass failure other than that created by damaged or very poor quality glass. Scratches and chips in the glass will be the main cause of failure. You can use the DIY custom aquarium glass thickness chart to get a quick idea of which glass thickness will be required for your tank. You may think that the 3.8 safety factor is overkill for your particular tank and location situation (for example, low traffic in a protected area) and might even opt for a lower factor. You can save on construction costs and forego the thicker glass if you do things to support the tank. For example, the basic 4-foot long by 15-inch high tank is a 55-gallon tank, which is an average size that most hobbyists started out with or are familiar with. This tank is normally constructed of 1/4-inch thick (6mm) glass. According to calculations displayed in the aquarium glass thickness chart, the glass has a safety factor of 2.92. You can increase the safety factor for a given thickness and tank size by installing a 4-inch wide glass brace from front to back of the top of the glass, essentially turning the tank into two 2-foot tanks, increasing the safety factor to 3.38. So, rather than go to a thicker glass to increase the safety factor, bracing can offset it. Another way to save on glass thickness is to design your tank stand so that it fully supports the entire bottom of the tank by using a styrofoam or polystyrene pad between the tank and stand. The pad will keep the tank from failing due to a point load on the glass surface which can be caused by dirt or grit on the stand surface. If the tank bottom is fully supported, you can also use a thinner-than-normal piece of glass for the tank bottom, since the stand will be adding strength and support and keep the glass from bending. Another trick is to compute the required thickness for the end pieces of your tank. In all likelihood, the required thickness will be less than the longer front and rear pieces of glass. 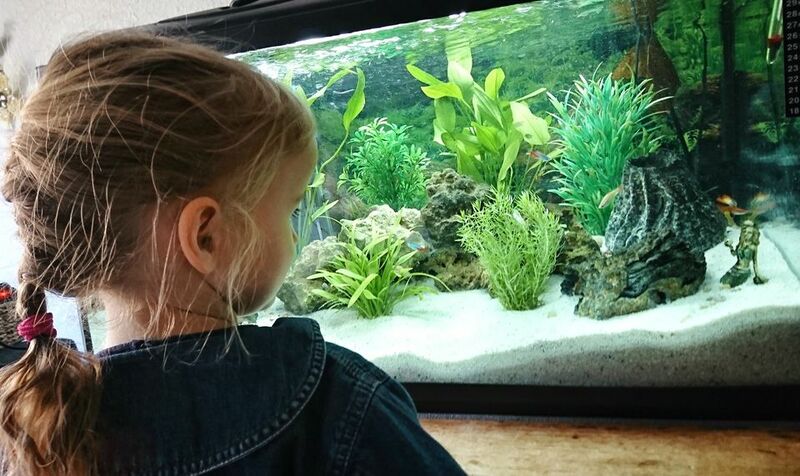 Glass preparation and proper installation of the panels is important when you are building your do-it-yourself aquarium but more so when constructing a larger-sized tank. When applying silicone on the glass, run a continuous 1/4-inch bead with no gaps or bubbles. For the best bonding results, apply only as much silicone as you can work within 3 to 5 minutes because after this the silicone tends to skin over and will not bond well to the glass. Lay down a bead of silicone on the bottom glass for the rear and one side glass panel, and on one side edge of the back panel, installing the back glass panel on the bottom, and then the side panel to the bottom and rear panel. When any section to be joined has been set into place, the silicone needs to be smoothed out. This is done by starting at one end of a joined section, press the tip of an index finger down into the silicone, then firmly and evenly, without lifting your finger, run it along the full length of the siliconed joint at a slight angle. Secure the joined section into place with duct tape. Do not worry about wiping away any excess silicone that squeezes out from around your finger. It can be cleaned up or trimmed off once the silicone has fully cured. The supporting surface of the tank base must be very level. On very large aquariums this can be difficult to achieve, and self-leveling filler may be needed between the polystyrene and the base. This should be applied just prior to fitting the aquarium to the base so that the aquarium’s weight levels out imperfections. Sufficient time must be allowed for the filler to level and fully cure before the aquarium is filled with water.